Meet. Mingle. Come together to pray, learn & to celebrate life with Temple Emanu-El’s young Jewish professionals in their 20’s and 30’s. Singles. Couples. Jews & Those Who Love Them. Once a month, we bring together beautiful music, contemporary poetry and prose, and traditional Reform liturgy, for a transformative Kabbalat Shabbat experience. Services are free and open to all who wish to join. Each week we offer drinks before the service and a delicious oneg reception afterward. So what are you waiting for? RSVP for the next event now! 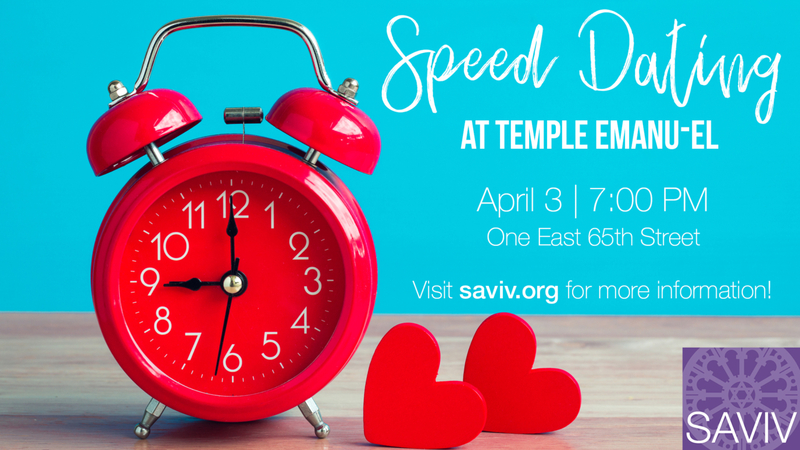 To learn more about SAVIV, please contact Rabbi Sara Sapadin. Join Saviv’s community of young professionals for our 7th Annual Passover Seder. Like our venue, the seder promises to be a lively mix of traditional and contemporary styles. 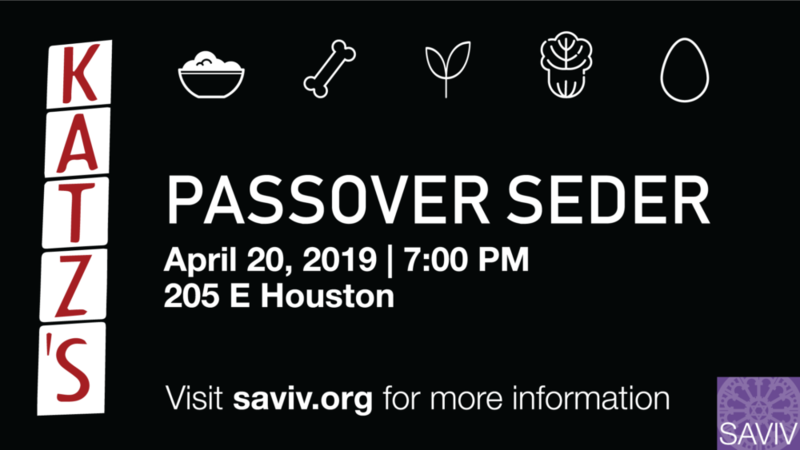 We’ll have all the classic seder foods, as well as Katz’s famous pastrami and delicious vegetarian options, too. It might not be your bubbie’s seder, but it is one of her favorite places! 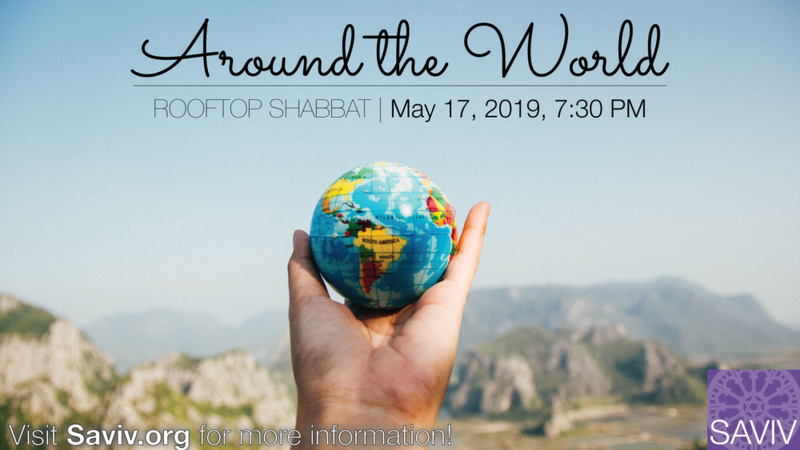 Join SAVIV for our rooftop Around the World Shabbat service. Rabbi Sara Sapadin, soloist Hadar Orshalimy, and her band will lead our wonderful musical service. Come early to grab a drink and stay after for our festive oneg. 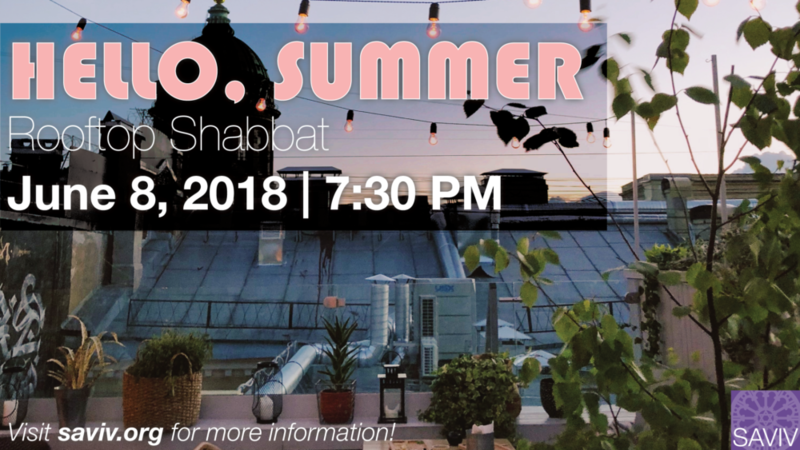 Join SAVIV on Emanu-El’s rooftop for our Hello Summer Shabbat service. Rabbi Sara Sapadin, soloist Hadar Orshalimy, and her band will lead our wonderful musical service. Come early to grab a drink and stay after for our festive oneg. Services are free and open to all who wish to join. Each week we offer a quick nosh with drinks before the service and a delicious oneg reception afterward..